Vinyl. Never has one musical word conjured so much admiration. So much nostalgia. So much mystique. We live in an age when musical formats have come and gone. Popular music consumption has been reduced to Spotify Playlists and YouTube clips. Yet despite this change in musical culture, vinyl has stood the test of time as the format of choice for true music fans. 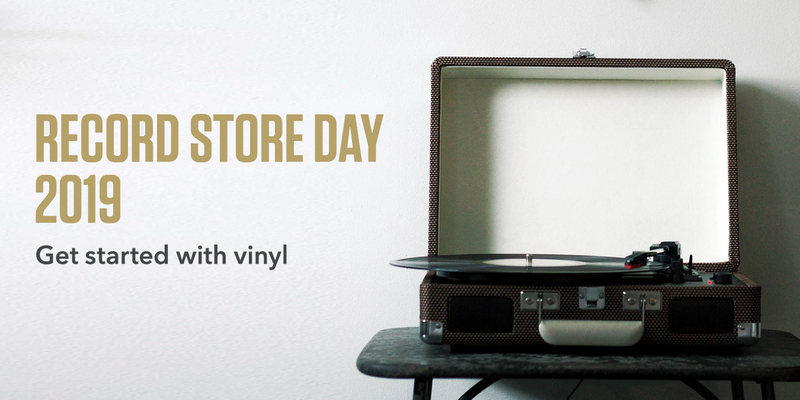 Vinyl's enduring popularity is the very reason why Record Store Day is now an annual event. 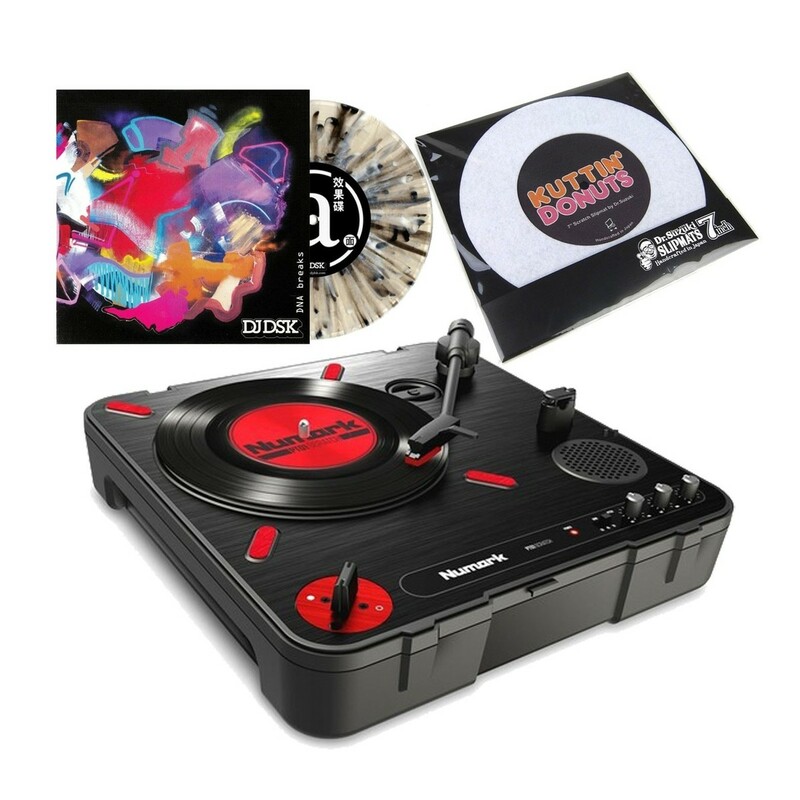 See our special turntable bundles here with everything you need to get started! Record Store Day is a nationwide celebration of the vinyl music culture. For this annual occasion, 200 stores across the UK (as well as thousands of others around the globe) come together to celebrate the thriving world of record decks and vinyl music consumers. Special releases are made exclusively for the day, and many shops host performances to mark the occasion. Gear4music is based in York, UK, and this city has several stores participating in the 2019 Record Store Day. To find out more, visit the Record Store Day UK website. Is Vinyl Better Than CD or MP3? Vinyl offers greater dynamic range than CD and almost all common digital formats. As an analogue medium, vinyl can recreate more detail, add more warmth, and give you a more immersive listening experience. Listening to music with a turntable also creates an occasion. As you unfold your album sleeve, peruse its bespoke artwork, load your turntable, drop the needle, and sit back to listen, you create your very own musical event. Your own ritual. Listening to vinyl certainly isn't as convenient as casually pressing 'play' on your smartphone. But the real question you should ask yourself is: do I value the music I'm listening to? If the answer to that question is 'yes', then you owe it to yourself to commit to your music. To give the time to really appreciate your albums. If you commit to the complete experience of vinyl, you'll hear your tracks as you've never heard them before. Join the revolution and see what you've been missing! We want to encourage as many people as possible to discover the joys of listening to music on vinyl. That's why we've put together these fantastic bundles to get you started. 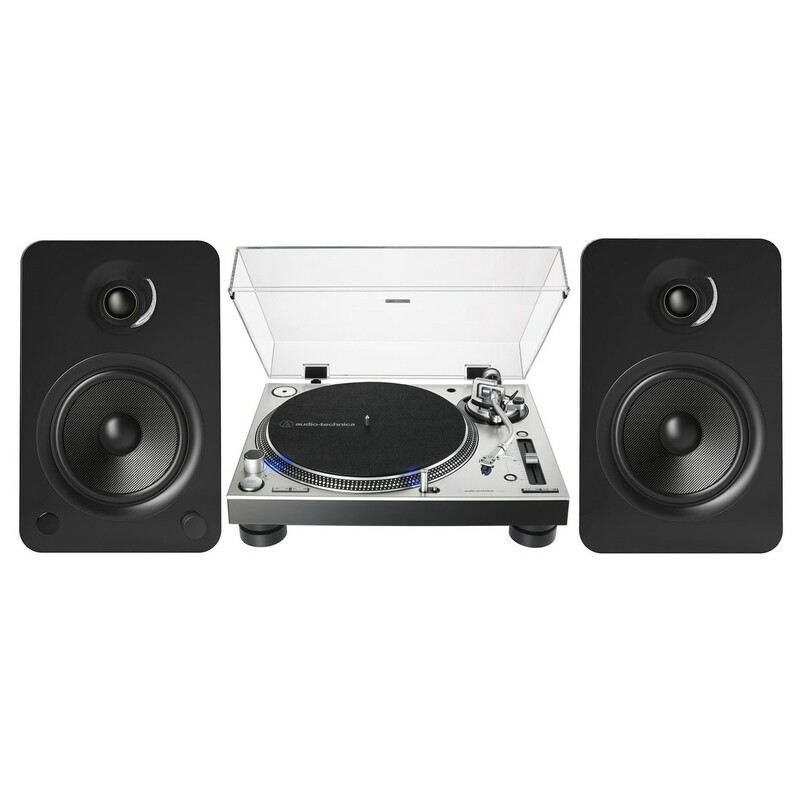 Get started with vinyl for under £100! Features an integrated speaker for playing out loud, as well as headphones for private sessions. Includes vinyl-MP3 conversion software to digitise your collection. Here's a stylish bundle in a vintage-inspired suitcase for just over £100. Features a built-in speaker for playing out loud and premium closed-back AKG headphones for private sessions with outstanding precision. Ready to try DJ'ing? This highly portable turntable lets you get started wherever you are, courtesy of the battery powered design. Connect to your PC via USB, and work on your scratch skills with the included records. Presonus Eris speakers bring studio-grade sound to your turntable setup with their kevlar drivers. 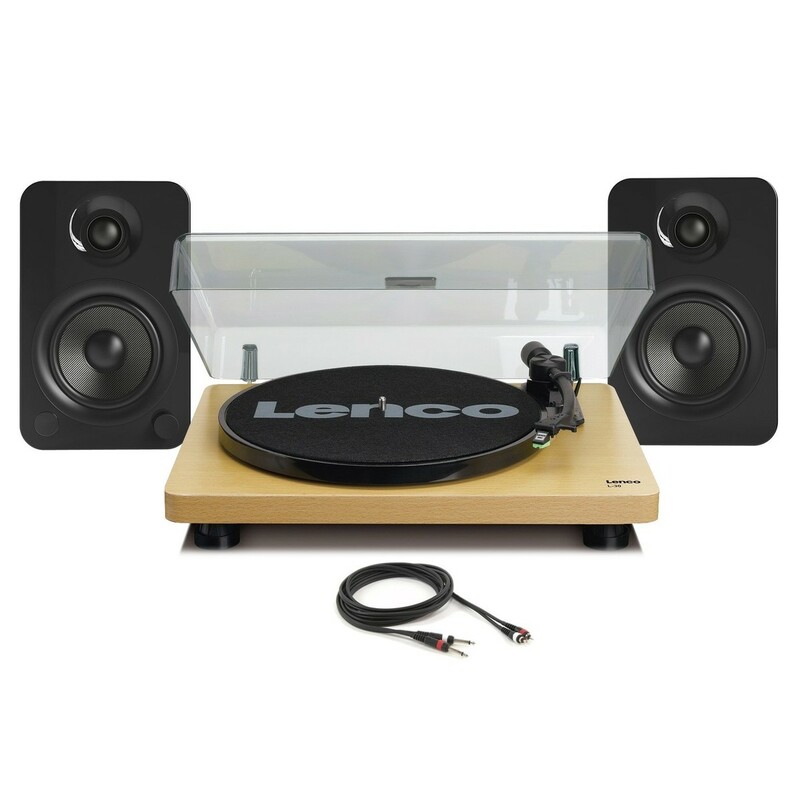 Paired to a belt-drive Lenco turntable, this is the ultimate home Hi-Fi setup for your vinyl. What's more, the speakers include a headphone amp, should you wish to listen in private. 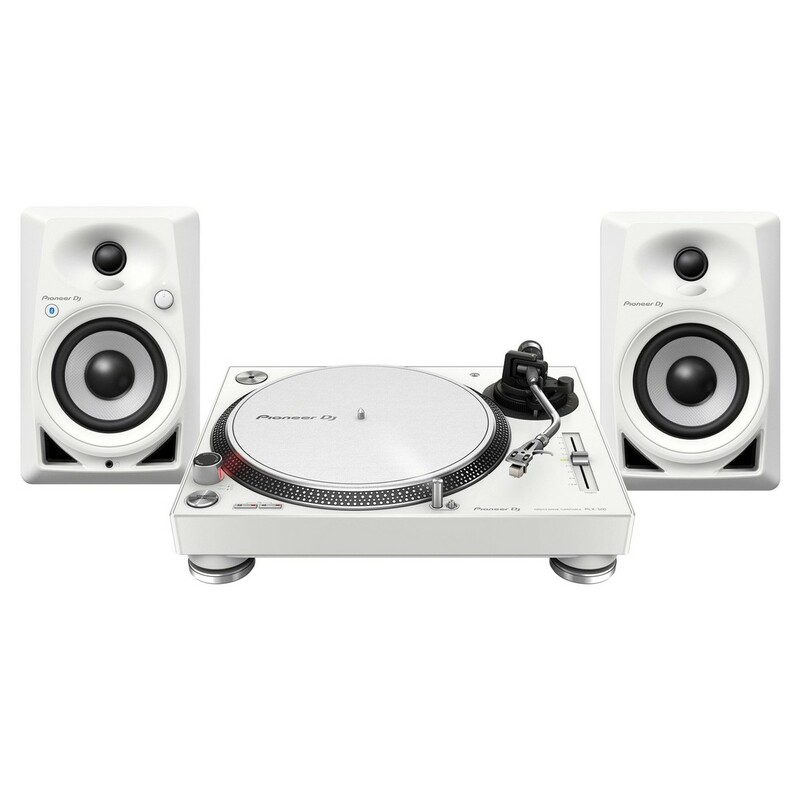 Here is an all-in-one bundle for aspiring DJs and vinyl enthusiasts. 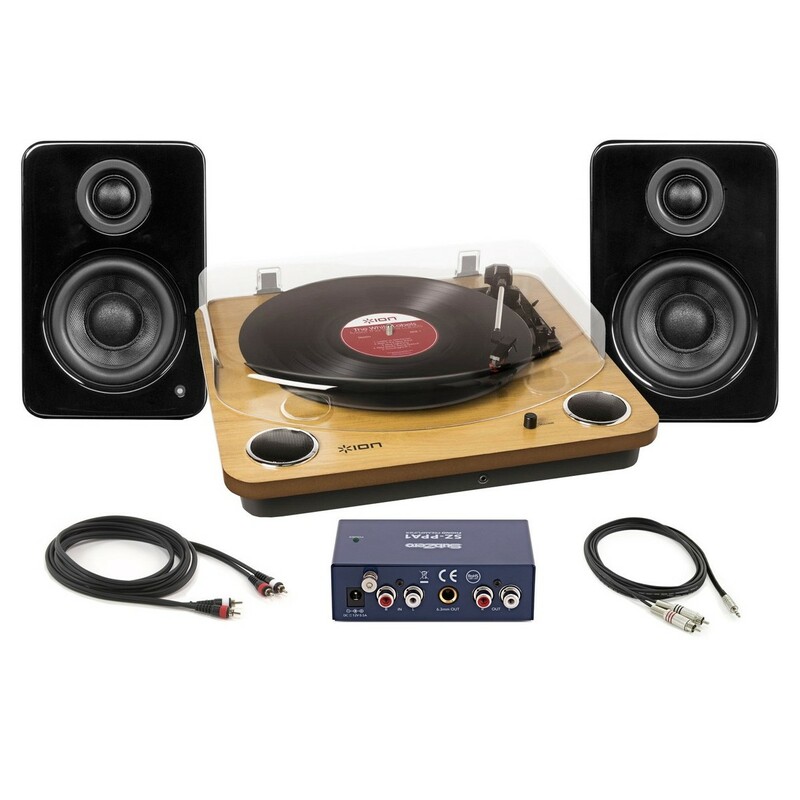 Everything is included in this bundle; cables, phono preamp, turntable, and speakers. 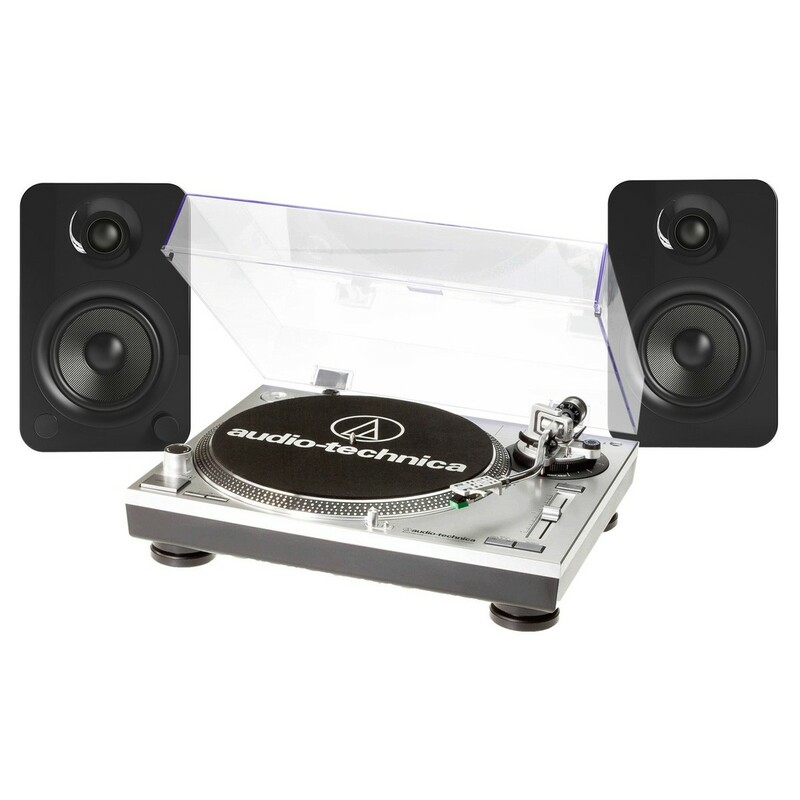 The Audio-Technica AT-LP1120USB has been designed with both DJs and record enthusiasts in mind. Both at home and in the club, you'll get premium sound reproduction and excellent pitch stability with the direct drive motor. 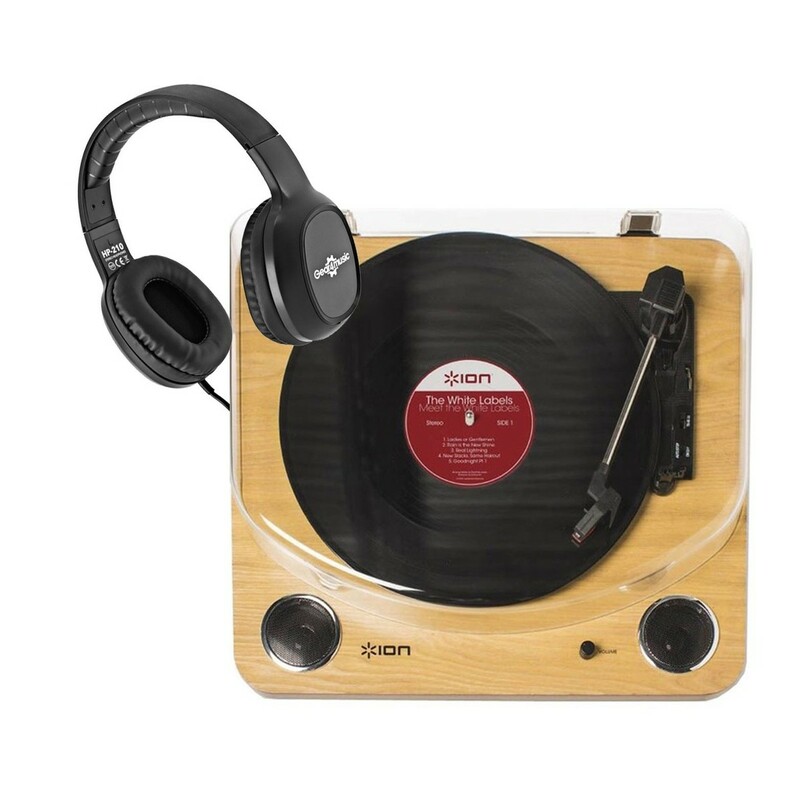 Comes complete with a Ortofon DJ cartridge for scratching and back-cueing. 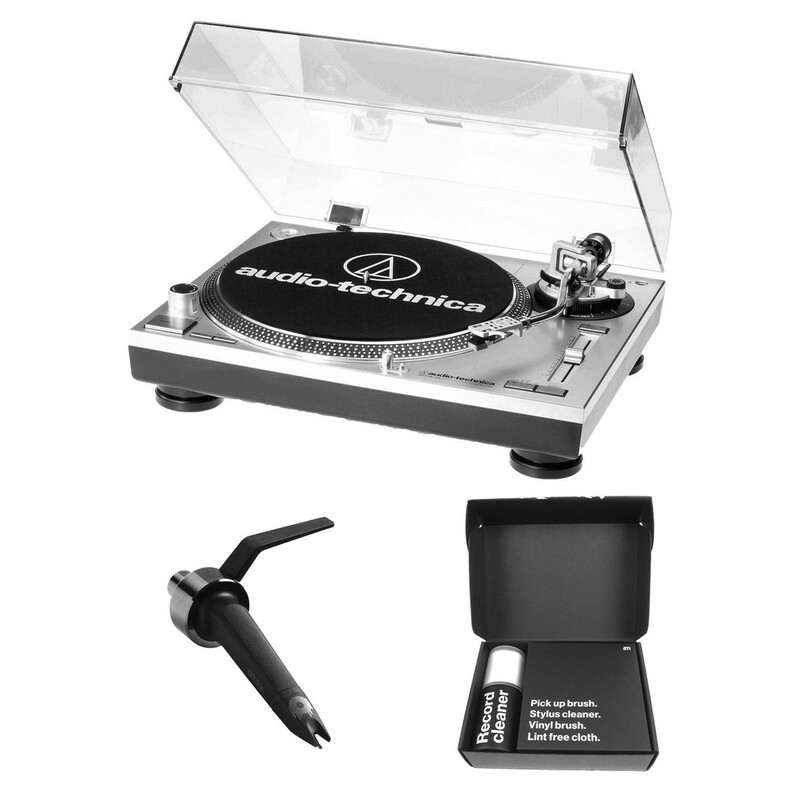 Also includes a handy record cleaning kit to make your vinyls last longer. 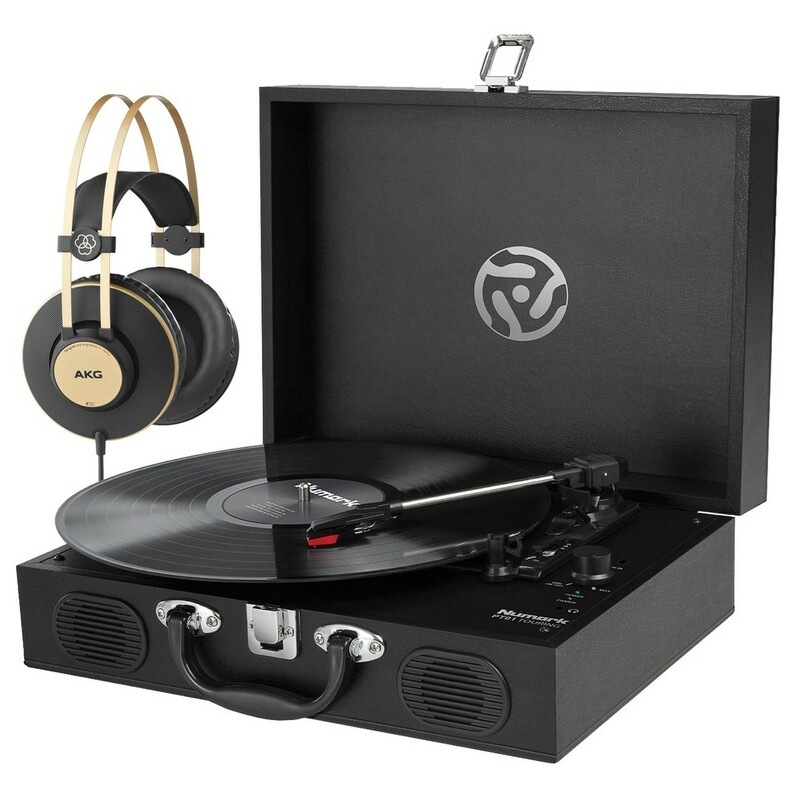 Get a fantastic belt-driven, wooden turntable with 3-inch bookshelf speakers. This kit has a built-in preamp and a remote for the speakers - welcome to the true convenience of home audio! A handy USB port allows you to digitise your vinyl collection. Welcome to direct-drive turntables. The Numark TT250USB is a professional DJ turntable with a 13.1 inch aluminium platter. 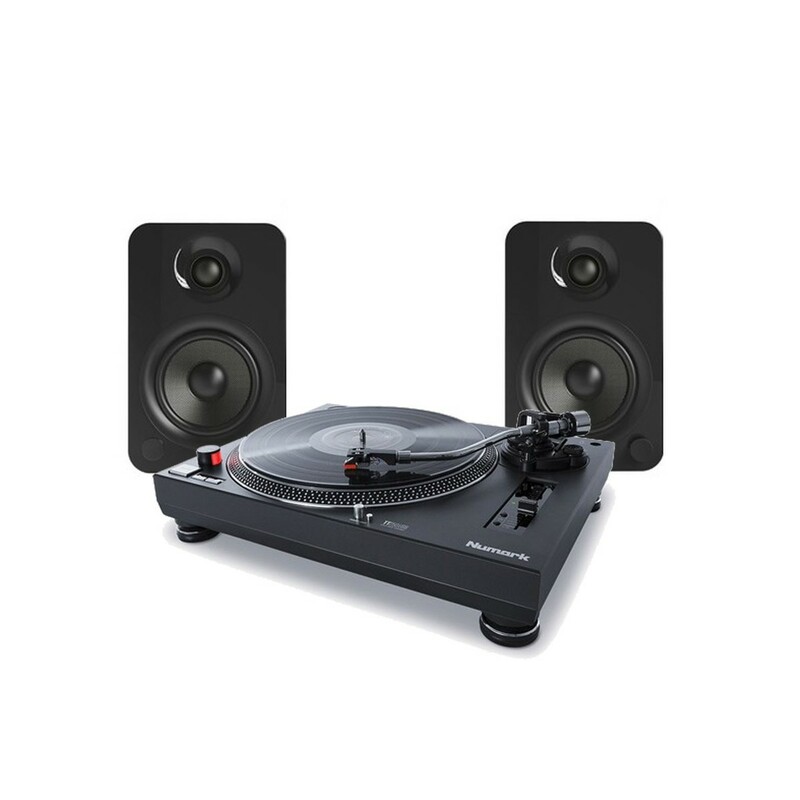 Get all the pro DJ features; S-shaped tone arm, /- 10 pitch bend capability, 45 or 33.33 RPM and 1/4 inch remote input. The perfect premium bundle for vinyl enthusiasts. Featuring a direct-drive turntable and high-torque motor with vibration damping for premium audio. 4-inch monitor speakers give enhanced bass response for high-fidelity sound. Get into DJing and live performance with the included Audacity software. Convert your vinyl to digital audio via USB and get the stable vinyl performance required by DJs and enthusiasts alike. 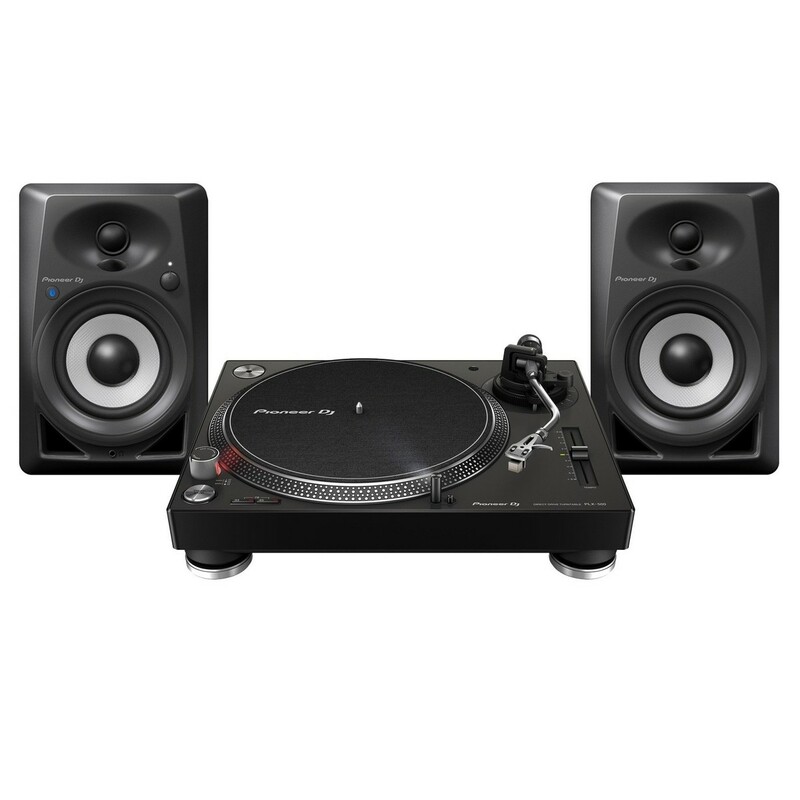 Audio Technica's first turntable for DJs. A direct-drive, high-torque servo motor with speed stabilisation gives the solid performance that professionals expect. Paired to 6-inch Kanto speakers, get ready for 200W of peak power and full-sounding projection. 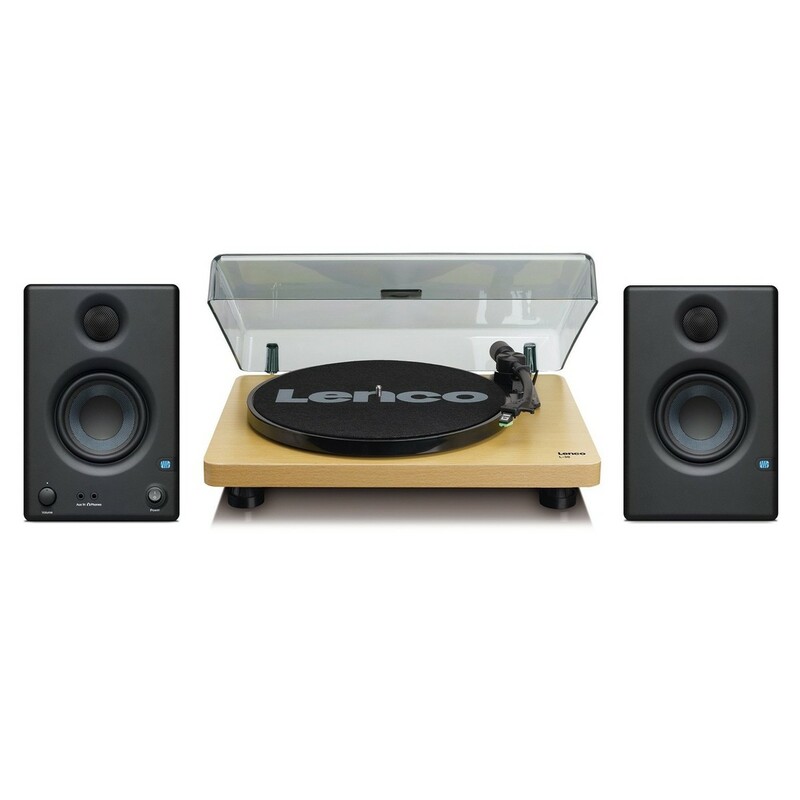 Find Out More | Hi-Fi at Gear4music - Speakers, Amplifiers, CD Players, DAB Radio, and of course, Turntables!